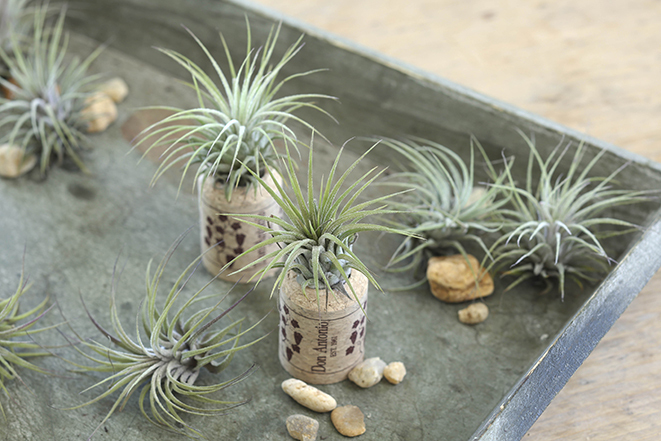 Air plants (Tillandia) are the hottest trend in indoor gardening. I have a friend that likes the idea of growing houseplants, but she never got around to actually buying one. It’s the mess, she said – or the fear of a muddy mess from overwatering or tipping over her potted plant. I finally suggested air plants and gave her one. She looked at it dubiously at first, but tried it – and it’s given her the confidence to finally grow other houseplants. Air plants (Tillandisa) are super trendy these days. The fact that they’re epiphytes, meaning you grow them without soil is key one reason. Folks like my friend don’t have to worry about the pot spilling in their car or if one of the kids bumps it at home. Another reason is that they’re perfectly suited to DIY projects. 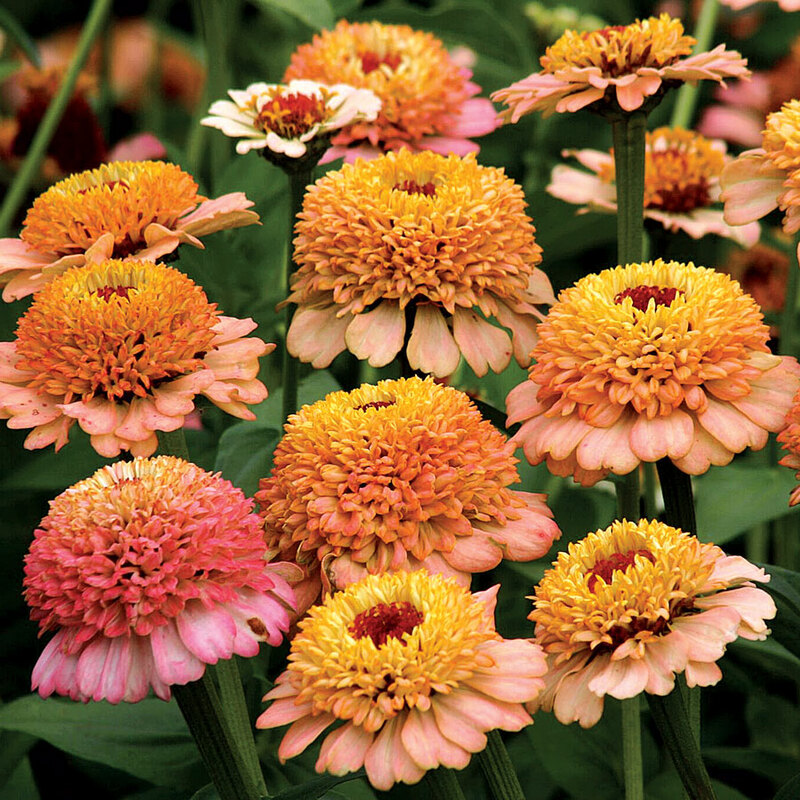 After all, they look a little plain just sitting by themselves, but spectacular when grown in a fun way, such as a cork, seashell, or sculpture. Good news: Air plants are super easy to grow. They just need a bright spot (but out of direct sun) protected from especially hot or cold drafts (such as heating or cooling vents). They like the same temperatures you do in your home, so you don’t need to worry about creating special conditions for them. They prefer moving air, so avoid keeping them in a jar or closed terrarium. To water air plants, just spritz them with water once every week or two. They absorb the moisture through special hairs called trichomes, just like how they absorb moisture from rainfall and abundant humidity in their native habitats. An alternative method of watering your air plant is to soak it in a cup of room-temperature water for about five minutes once a week or so. 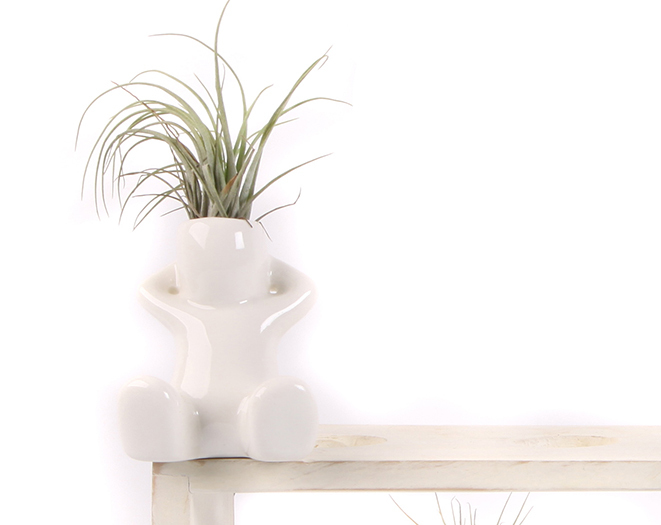 When it comes to containers, the sky is the limit for displaying your air plants. For an airy, delicate effect, hang them in a loop of fishing line to make it appear as though they’re magically floating in the air. If you prefer a more rustic look, you can display them on a piece of driftwood or tree branch. If you prefer a more modern look, tuck them in your favorite sculpture or vase.